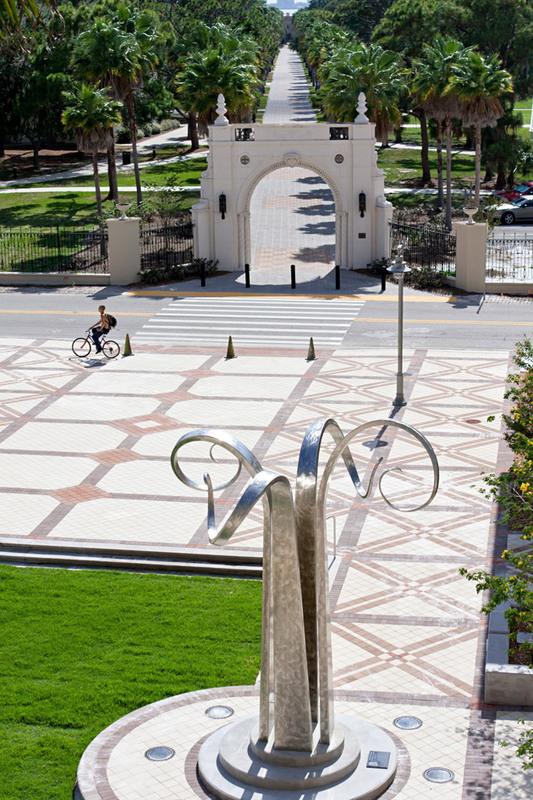 This is the first project to be realized following the 2006 New College of Florida Master Plan prepared by Moule & Polyzoides. 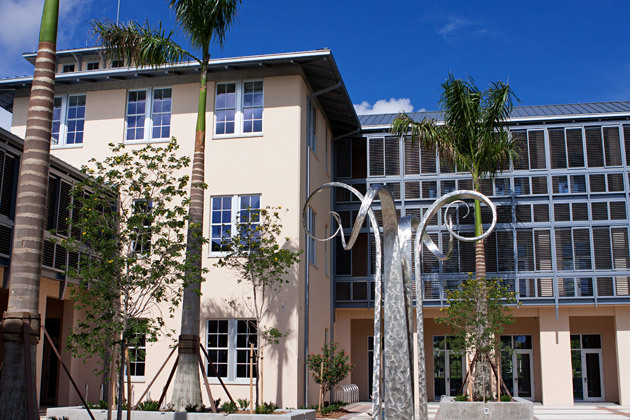 Located at the entrance to the campus, this LEED Gold-rated office and classroom building is among the most prominent structures at the College and the first of a series of buildings to form its main quadrangle. The program combines 36,000 square feet of offices, classrooms, common and support spaces. 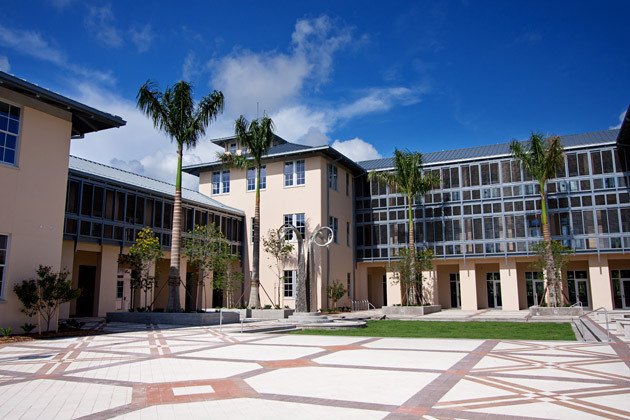 The design combines vernacular and contemporary design elements, such as a metal roof, masonry walls and hurricane shutters for protection from sun and rain. Sustainable strategies include covered balcony circulation, deeply shaded south- and west-facing arcades, natural light and ventilation in every room and a rainwater collection system. 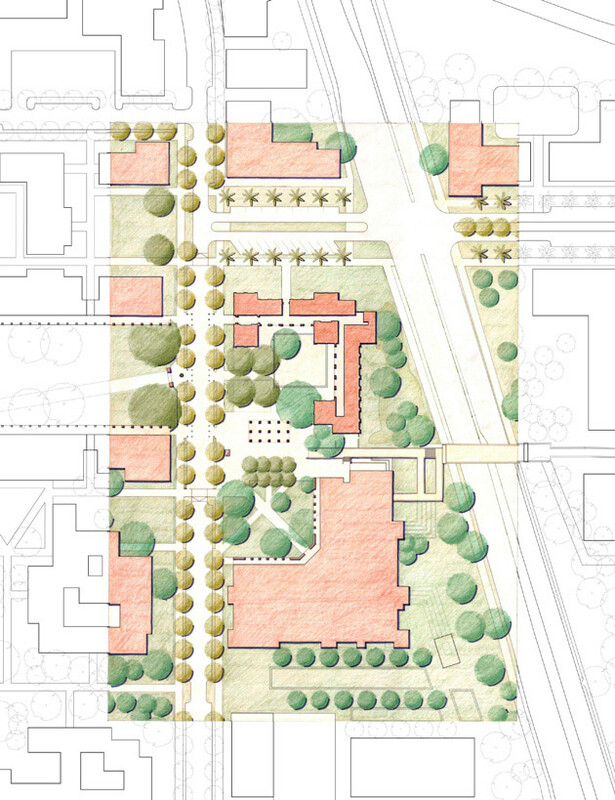 The building’s open and receptive south and west sides face the existing library on a new shared plaza. 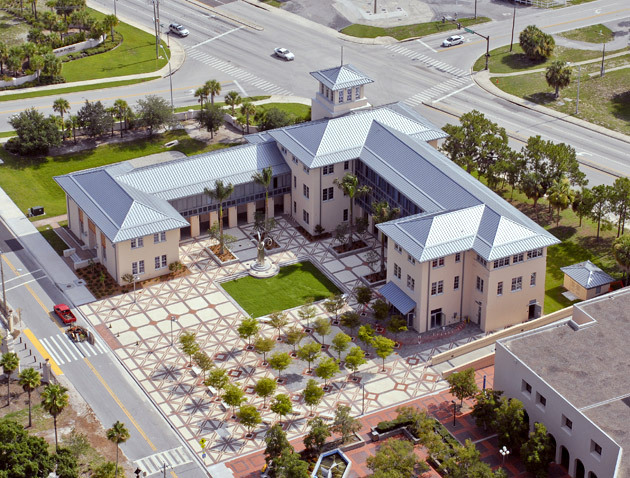 The design helps establish the College’s evolving architectural character, which is shaped by a distringuished academic tradition and an environmental ethic consistent with its tropical location on the Gulf of Mexico.